Young people face many potentially overwhelming challenges, including peer pressure, cyber bullying and grade anxiety. For some, these problems are further exacerbated by a mental illness, posing a simultaneous challenge to their maturation, development of life management skills and emotional stability. The National Institutes of Health (NIH) reports that 21% of young adults have a mental illness. Categorized as 18- to 25-year-olds, this young adult group has the highest rate of mental illness among adults. Mental health issues in young adults can result in delayed development, strained relationships and a struggle for self-sufficiency. “We make an effort to reach out to, and welcome, young people from various backgrounds, cultures, races, genders and sexual orientations. 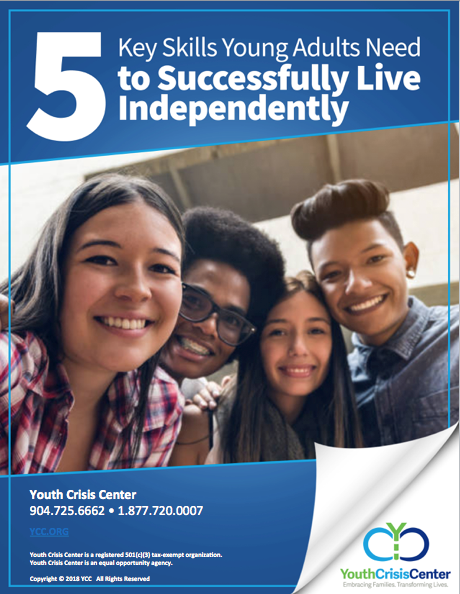 Whether they need transitional living services, mental health counseling or both, we create personal plans to match their needs,” said Cecelia Stalnaker-Cauwenberghs, LMHC and Director of Program Services at Youth Crisis Center (YCC). YCC’s Touchstone Village provides transitional living services to young adults ages 18-21 who are homeless or in situations which limit their self-sufficiency. While help is readily available at YCC and Touchstone Village, sometimes the challenge is getting young people to ask for it, particularly those in a minority community. 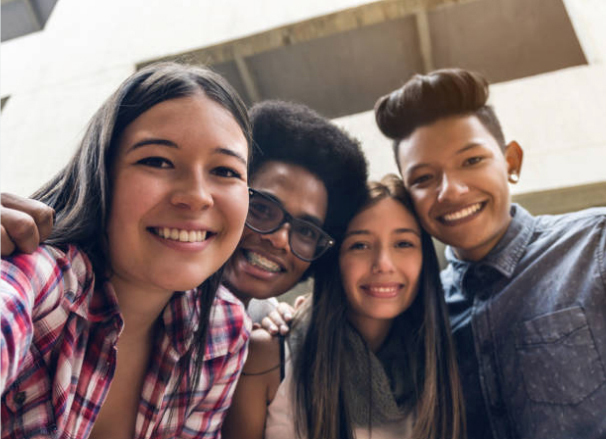 Touchstone Village is not exclusively for those struggling with a mental illness, young adults requiring additional services can receive them while still feeling a sense of inclusion and community. Currently, 75% of Touchstone residents identify as a minority, based on race or gender identity. Minority Mental Health Month started in 2008 to bring awareness to the unique struggles that under-represented groups face in regard to mental illness. Mental health is viewed differently among various individuals and families, depending on their values, beliefs, sexual orientations, race, ethnicity, language or religious background. Any stigmas are often passed on to the younger members of the population. Culturally, taking care of mental health issues can be seen as a weakness, more so in the Asian, Latino and African American communities. For members of a diverse population, it can pose a challenge to comfortably discuss emotional or mental health issues with a therapist or doctor that does not share their own appearance or cultural experience. There is a sense that the profession remains dominated by white counselors and minority clients struggle to find professionals who they can identify with culturally.